...is what we believe in at JPC Productions. 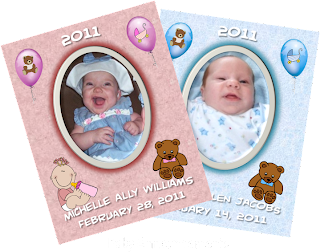 We also believe that it IS possible to design a personalized item for a reasonable price. It’s ridiculous when digital design companies charge an extra fee for each additional personalization. We think it’s wrong for a company to charge a set-up fee—even before anything has actually been done. Remember the last time that you had to order photos for school, graduation, or just wanted copies? Who wants to pay upwards of $100 for a package that may contain 30 pictures in total? And that’s with NO personalization. Remember trying to maneuver those tricky online do-it-yourself templates to personalize a product? Either they take too long, or it doesn’t allow the flexibility to make it look exactly as you want it. We take the stress and work out of your hands. There are many kids who dream of being on their own trading card, many couples who want an extra special touch to their wedding day, and many new parents who want to show off their bundle of joy, yet the companies who offer them charge prices that an average family cannot afford. Our mission is to provide the customer a FULLY personalized product at a lower price with no special fees or setup costs. 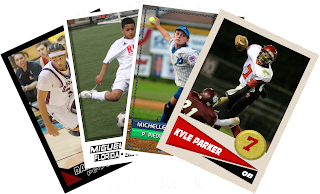 We have many products now available: be sure to check out our brand new MVP Collection—whether it be for your Most Valuable Player, Most Valuable Person, or even your Most Valuable Pet, you’re sure to find a design that will make a great gift and keepsake! Also, take a look at our brand new baby designs—show off your new arrival to family and friends! Finally, we have two wedding keepsake items that are sure to add a little extra to any wedding ceremony. And as always, thank you for visiting JPC Productions! ...prides itself on creating and designing the most innovative and unique products at an affordable price point. We believe in giving the customer both a high quality product AND delivery in a timely manner. We value (and welcome) feedback from our customers. We’re open to any and all suggestions on how to improve our services, designs, website, and anything else that will help strengthen and develop your relationship with us. ©2018 JPC Productions, All Rights Reserved. Powered by Blogger.